A real world example of what artists call “1-point perspective”. 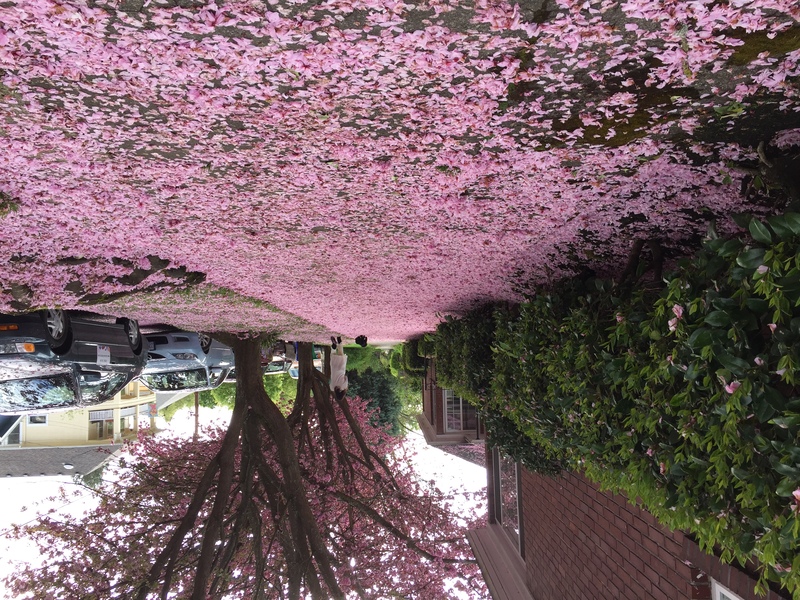 Notice how this road of petals disappears into a single point in the center. 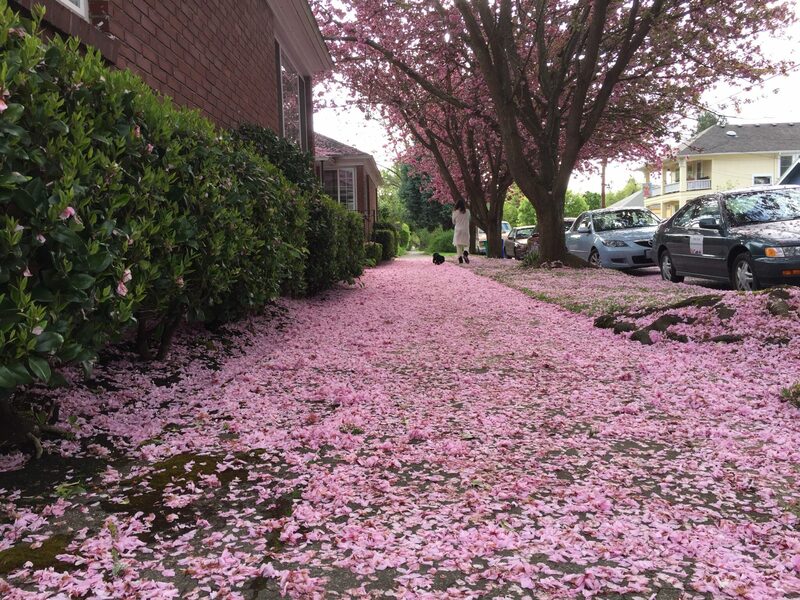 Billions of blossoms died to pave the way for a lady and her dog to “go walkies”.